Nike have given their four boot silos new colourways with fresh summery colours that are bound to stand out on the pitch. With an fresh mint, sunburst, neptune blue and even a mango colour it is surely a fresh touch  and we have created a new campaign site where you can get close to all of the new colourways. 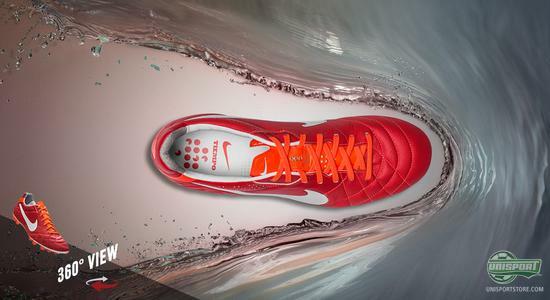 With this latest colour update, Nike have truly shown that they are ready to welcome the spring in a colourful way  and both the Mercurial Vapor IX, T90 Laser IV, CTR360 Maestri III and the Tiempo legend IV have gotten a new fresh look  and the Maestri III has even gotten two brand new colourways. We have gathered all the new colourways in a big ACC universe, where you can fully experience the new fresh colours and even try an interactive 360-degree view function. All four silos are equipped with Nikes innovative and rather revolutionising technology, All Conditions Control  or just ACC. This technology is incorporated into the boots uppers during production, and ensures that the boot will have the same grip in wet conditions as it would in the dry. You can experience all the new Nike colourways with ACC in our vast Nike universe that you will find right here. Check it out and find your favourite boot. With the new Nike Mercurial Vapor IX colourway, the model follows the same style as the two first launch colours with a Neptune/Volt-Tide Pool Blue colourway. It smells of spring and speed, and even if you run into some showers during the spring months, the ACC technology has got you covered. 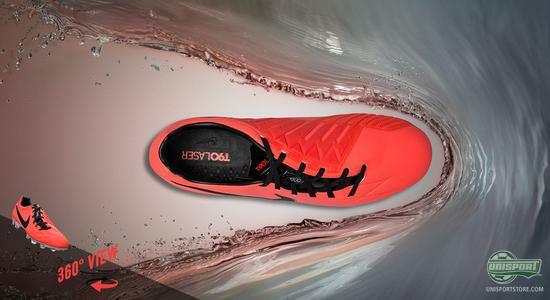 The boot is tailored for speed with a snug fitted, thin upper, a super low weight of just 185 grams, as well as, a stud configuration designed for explosive speed. The boot is made with the aim of optimally utilising your effort during acceleration and is perfect for the explosive and challenge seeking player. The Tiempo Legend IV is Nikes classic boot, but with this spring colourway it should certainly not be understood as boring. With its Sunburst/White/Total Crimson colourway, the Legend IV keeps an elegant expression  and still manages to stand out on the pitch. The Legend IV is produced with an upper made of extremely soft kangaroo leather, which wraps itself nicely around your foot and provides comfort of the absolute highest order. In addition, the boot is also equipped with ACC, which is unique for a leather boot  hereby, the Legend IV is one of the most advanced kangaroo leather boots on the market. Nikes T90 series has been around for a while, but with the T90 Laser IV Nike chose to change the boot a little. They chose to tailor the boot in accordance with the demands of an attacking player, resulting in a focus on supernatural movement, comfort and precision. With the new colourway, Nike have again given the Laser IV a more clean look  both the Adaptive Shield and the rest of the boot have the same colour, this time the pick was the well-known mango/black combination, which we have previously seen with the launch colourway for the Vapor VIII. 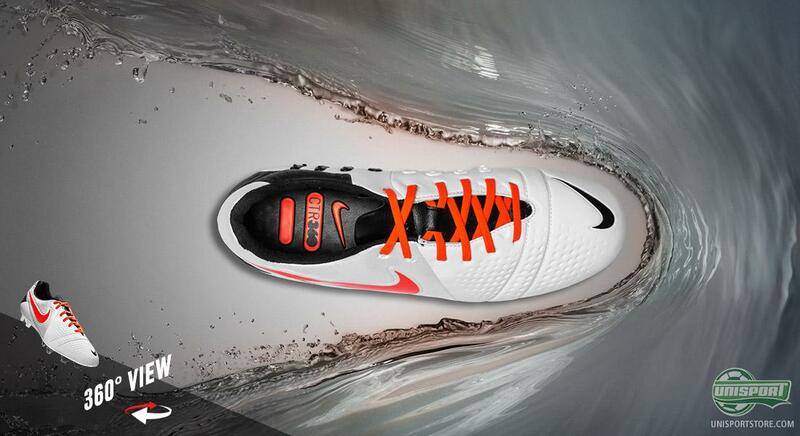 Last, but not least, we have Nikes newest silo, the CTR360. 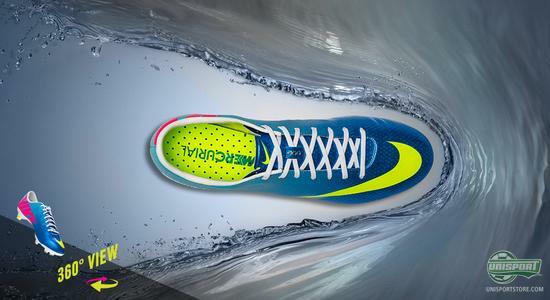 It is regarded as Nikes control boot, Maestri III, which is made to meet the demands and needs of the central midfielder. The boot is produced with an upper made of Kanga-Lite 2.0, which emulates the many great abilities of kangaroo leather. Therefore, the Maestri III offers a supple and soft upper, which, compared to leather, will last longer, stretch less and take up less water. In addition, the eight 3D panels on the medial side of the boot, ensures that you will obtain maximal control no matter if you are trying to get control of the ball or passing it  essential for the midfield maestro. The boot comes in two new colourways  the primary colour, Fresh Mint/Black  Neo Lime, as well as, a more elegant White/Total Crimson-Black. The latter borrows, similar to the T90 Laser, from a previous Nike model, in this case from the previous colourway of the Tiempo Legend IV. 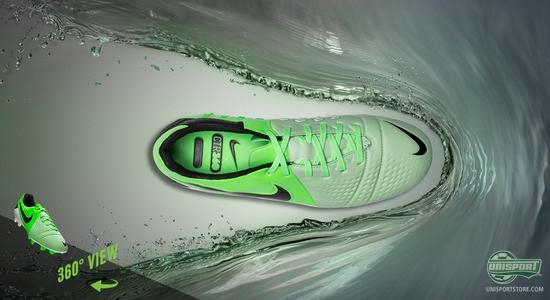 A nice colour match that Nike also seems to be rather pleased with. With the new spring colours, Nike have gone all out colour-wise and the new models have already managed to split our crowd  but what do you think of the rather loud colours? So cool or too much? Feel free to share your opinion in the comment box just below.